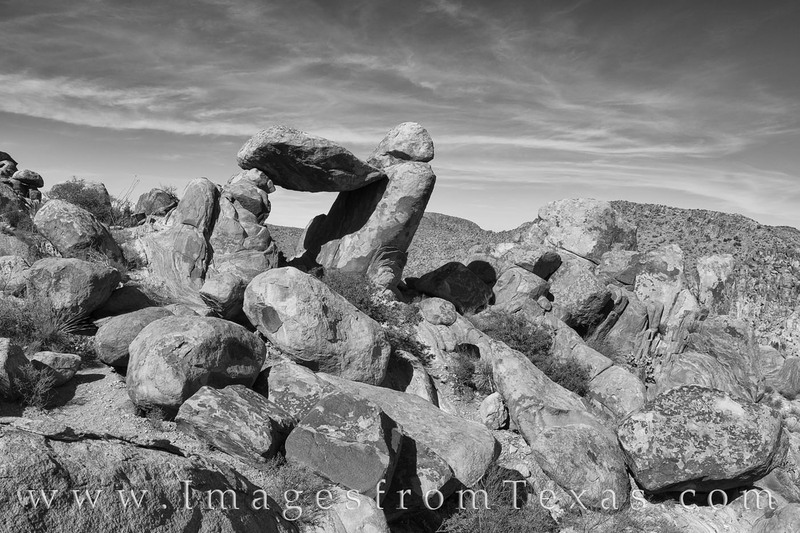 Balanced Rock is at the end of an easy 1.25 mile walk along the Grapevine Hills Trail in Big Bend National Park. This black and white photograph shows the jumble of rocks on a perfect spring afternoon. Photo © copyright by Rob Greebon.